So, you bought a new gun, and it’s your very first gun. What do you do with it? 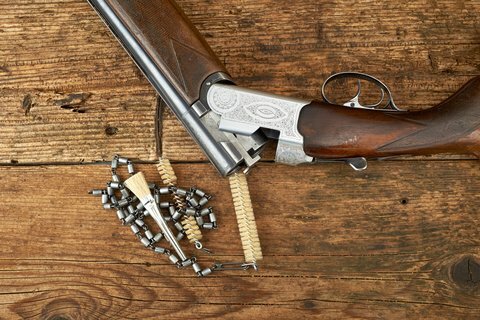 The best way to familiarize yourself with your first gun, or any subsequent gun, is to clean it because in order to clean the gun you must take apart the gun. Not only is cleaning an essential part of firearm upkeep, the action of taking your firearm apart and having to put it back together is what creates the bond between you and the gun. In the military, you learn to become best friends with your weapon. Most of you have seen Full Metal Jacket, no? Well, think about getting that intimate with your firearm. Clean it, caress it, inspect it, hold it. Enclosed with your firearm is undoubtedly a manual, read it. If you know reading the manual will only confuse you further, take to the Internet. There are numerous videos available that show step by step how to take apart and put back together a variety of firearms; you are sure to find one specific to your exact gun. Better yet, ask a friend who has the same or similar gun to walk you through the steps. Actually, when you purchase a firearm, the vendor has a responsibility to show you how to disassemble the weapon, and ensure that you, the buyer, understands firearm safety. Don’t be afraid to ask him or her to repeat the steps until you feel comfortable doing it yourself. Once you’ve spent a few times practicing the assembly of your firearm, you should have a sense for the weight of your weapon. This is only the beginning of your bond. The time has come to take your new friend to the shooting range. Again, ask a friend who is adept at shooting and overall firearm safety. If your friend is busy, the safety officer at the range will be more than happy to walk you through the proper stance, hold, and breathing techniques associated with firing. Remember yogic breathing? Try it at the range. Focus on your breathing, your stance and posture will comply, as will your aim, but don’t forget to follow through with your trigger squeeze. Back home, it’s time to clean again. Yes, even though you just cleaned it before you fired your weapon, you should get into the habit of cleaning your firearm after each use. Maintenance will keep your firearm ready and ensure it fires when you intend it to. But, more importantly, it will strengthen your relationship. Avoiding your firearm is perhaps the worst thing you can do. Sit down with it, and clean it again. Now, schedule your next visit to the shooting range, and keep the cycle going until you can take that gun apart with your eyes closed.